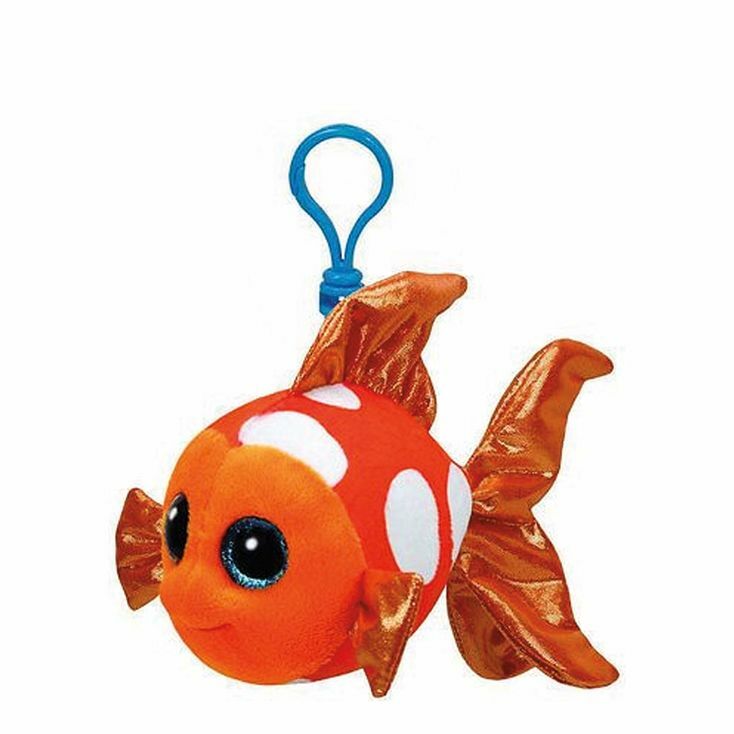 Sami is a bright orange fish with white patches on his body. His face is slightly lighter orange and he has large, glittery blue button eyes. His side fins, dorsal fin and tail are all shiny and orange. I’m fun and cute is what they say! Sami was released in January 2017. There are four versions of Sami. This key clip version, a small 6″ Beanie Boo, a medium 9″ Beanie Boo Buddy and a large 16″ size.